This is a terrifying Halloween themed online slot game and is fresh to the market! 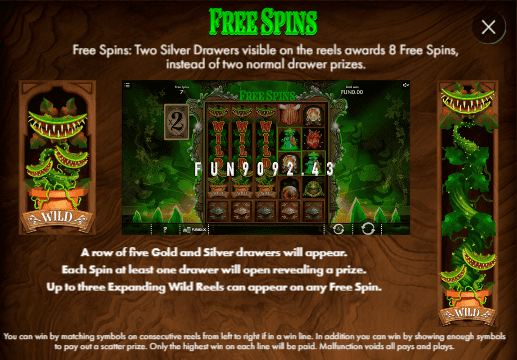 Discover of the many bonus rounds on offer including wild symbols, scatters and free spin rounds. All of these will increase the chances of you winning and taking home more cash! The maximum winnings here are 250.000 coins. This is a 5 reel slot game with 40 pay lines. What more could you want? You can also find all our online slots here. You tend to not hear the developers name (Iron Dog Studio) all that frequently but they exist with the reputable 1x2 Network. Their work aims to create entertaining themes and interactive gaming online to keep players entertained and help to build their online portfolio. In doing so, they aim to keep up to date with current technological advances and ensure that their games are suitable on a variety of platforms; running at a sound quality level. Their library is growing fast and demonstrating strong potential for the future so it's worth keeping a close eye on the content that is available from Iron Dog Studio. This game does not disappoint and its creative method of winning is something that many players enjoy. To form winning combinations, simply land 3 symbols of the same kind in a row – from left to right. Like any slot game, different UK slot games and symbols hold various values so keep an eye out for these higher paying symbols for your chance to win big payouts! If you wish to play the best slot games online with high RTPs, check our guide! Keeping with the Halloween theme, the symbols are spooky and include scary monsters which will pay out some of the highest rewards. The Curious Cabinet predicts the future with its haunting tarot card symbol. Look out for the wilds and sticky wilds symbols as these will really create a boost for your winnings! Other symbols include a creepy doll and monster. The bonus features in this round include silver grants cash prizes, multipliers and gold gives the opportunity for gaining more spins! Find your way through the ghoulish green field using a special and enchanting Expanding Wild and extra drawers to receive the highest possible payout of 2.000 coins or a 5x Multiplier! The wild has the highest rating of all as it substitutes except the Scatter helping you form a winning combination. This game is great for a range of players because of its inviting theme and bonus features. It’s easy to find online for free but playing for real will allow additional bonus rounds and features to be entered and of course, give you the chance to take home some real winnings. The game is designed to a high quality with strong graphics which is half of the battle when you are playing an online slot game! 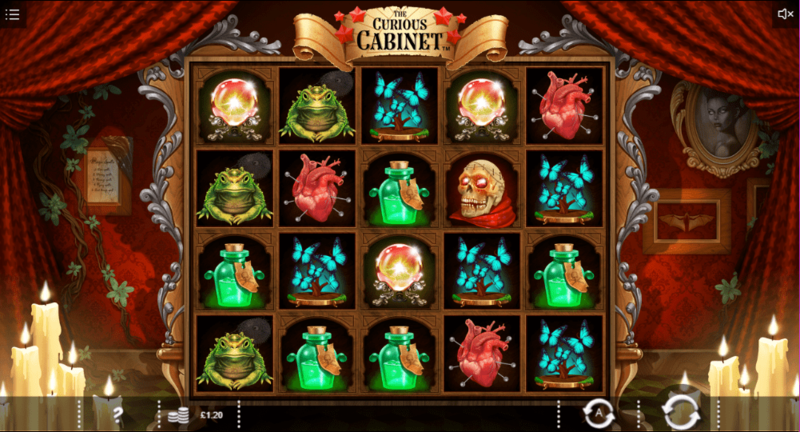 The Curios Cabinet invites all those who dare to enter its gameplay and the opportunity to increase your winnings! It does not matter if Halloween is over now, get yourself ready for fright and get freaky! Good luck and happy spinning! Try spinning on Stage 888!